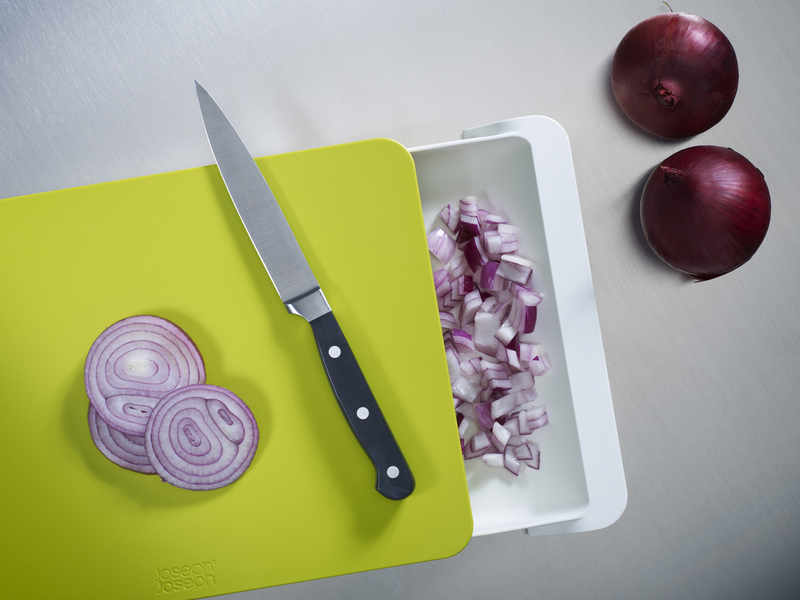 Joseph Joseph have just launched this updated version of the Cut & Collect™, comprising of a sturdy plastic chopping surface with a handy, integrated drawer that can be pulled out and used to collect chopped food or unwanted food waste. Simply slide the drawer out when preparing food and scrape the chopped pieces directly off the board into the drawer. The draw can be completely removed and the contents poured into a pan or bin. The ultimate in tidy food preparation, the unit has non-slip feet and finger recesses moulded either side for easy lifting. In addition the drawer makes a convenient place for storing a small, sharp knife.